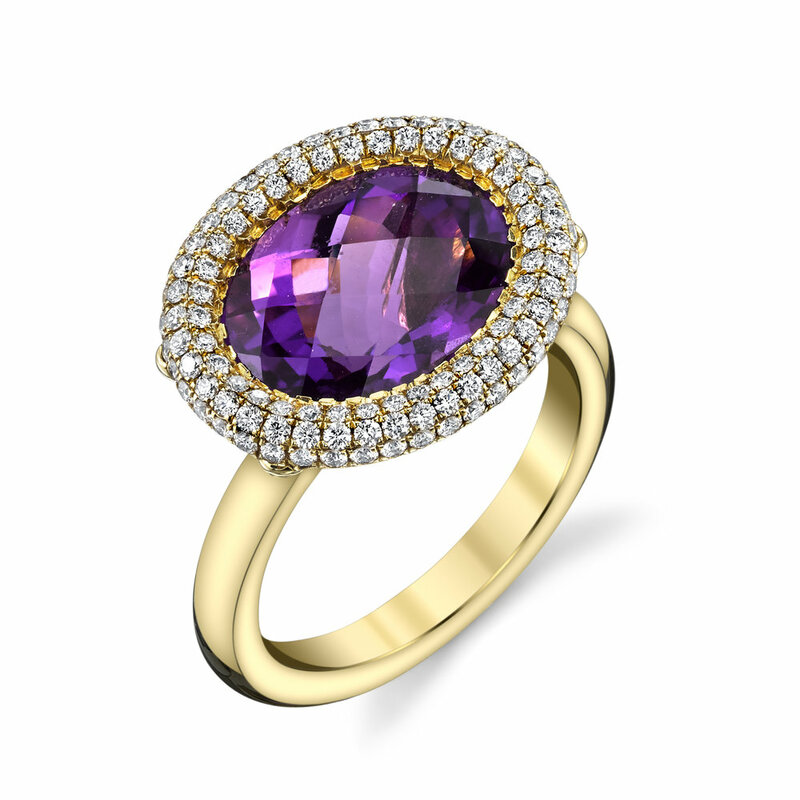 The stunning Purple Amethyst center stone is not only beautiful, it is easy on the eye. Amethyst is regarded as a mood enhancer, as it is supposed to calm the mind and even out the psyche, and this ring make it apparent why that is so. It is also used to alleviate conditions such as sleeplessness, migraines and mental problems. The center stone is set in luxurious 18 Karat Yellow Gold and accented with 0.71 Ct Diamonds. It is strikingly feminine and perfectly compliments any outfit. This ring is currently a size 6.5, but can be sized anywhere between a size 4.5 and size 8.5.